Despite her affinity for Americana and country music—something she showed off on her 2017 EP Something American—she’s found herself with some pop tendencies. She’s been compared to everyone from Stevie Nicks to Jefferson Airplane’s Grace Slick and Alanis Morissette. Needless to say it’s hard to pin Bird down. In January she released “Lottery,” which had pop undertones because of the albums that have influenced her, the ones she’s nostalgic for. “Alanis Morissette’s Jagged Little Pill is the one I always go back to,” she says fondly. But Bird doesn’t want to be boxed in genre labels. She wants to write piano ballads as much as she does Americana tracks and pop songs. “I always respected country music for its narrative and how it’s so solid, you can get the picture in your mind,” she explains. “I feel like song structure is a real ode to that emotion.” For Bird, that emotion stemmed from the breakdown of relationships in her life. Instead of falling out of love with her boyfriend, it was witnessing her parents and both sides of her grandparents split. Because it’s so intricately detailed with her experiences, her songwriting isn’t generic. “There’s not a line I think you can miss,” she says. The above quote is from a recent Noisey interview with UK singer/songwriter Jade Bird. 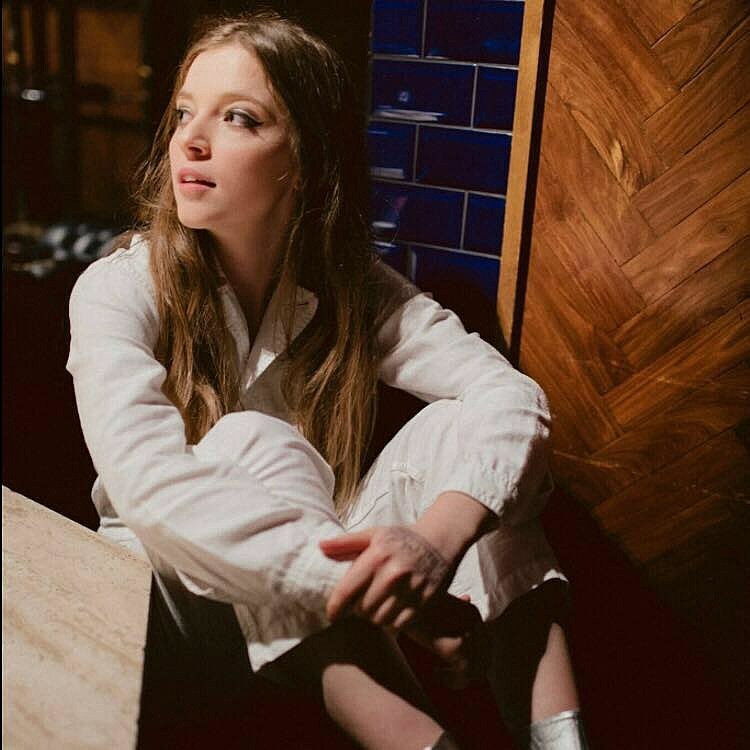 As it points out, Jade released her debut EP last year on Glassnote Records, and she followed it this year with a new single “Lottery” that brings a bit more of a pop influence to her Americana-inspired sound. She’s also got a stripped-down, slowed-down piano version of “Lottery” that she recorded and filmed at London’s YouTube Studios, which is even more gripping than the studio version. Watch that performance, and the song’s official music video, below. Jade is in the US as we speak for SXSW, where she has a total of 12 shows (a couple of which have happened already). One of them is the Saturday of BrooklynVegan and Margin Walker’s Lost Weekend 2 day parties at Cheer Up Charlies. Jade plays at 4 PM on the indoor stage, right before Courtney Marie Andrews. Admission is FREE WITH RSVP. Her full SXSW schedule is below. After SXSW, Jade will continue to tour the US, including a run opening country singer Colter Wall‘s tour. That includes Colter’s NYC show on April 11 at Bowery Ballroom (tickets). Jade also tours the Midwest with First Aid Kit, and plays Stagecoach, Bonnaroo, Firefly, and Mountain Jam. All of her US dates are listed below.